Greenwood Symphony in Barasat, Kolkata North by Shrachi Group and JB Group and Green State is a residential project. 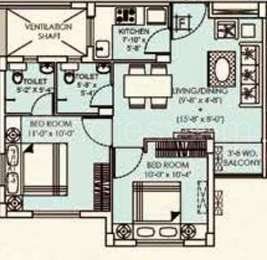 The size of the Apartment ranges in between 725.0 sq.ft. 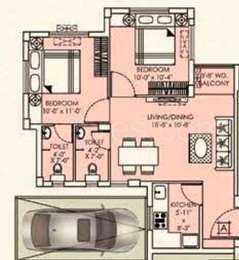 and 931.0 sq.ft. Greenwood Symphony price ranges from 17.40 Lacs to 22.34 Lacs. Greenwood Symphony offers facilities such as Gymnasium and Lift. It also offers services like Banquet hall and Community hall. This is a RERA registered project with registration number HIRA/P/NOR/2018/000089. Bank loan approved from HDFC home loans, ICICI, State Bank of India, LIC Housing Finance Ltd., PNB Housing Finance Limited, Dewan Housing Finance Corporation Limited (DHFL) and Bajaj Finserv. The project is spread over a total area of 2.65 acres of land. It has 65% of open space. Greenwood Symphony has a total of 9 towers. The construction is of 4 floors. Greenwood Symphony brochure is also available for easy reference. Kolkata is situated on the brink of traditionalism and modernity. The real estate market of Kolkata is stable and growing on a positive note. This can be attributed to a number of reasons. Developing better infrastructure for improving connectivity, presence of a number of industries that generate jobs and investments from developers are all reasons that positively affect the real estate of the city. Additionally, emerging townships in the city are witnessing an escalation in sales for all the coveted residential properties that apart from being well connected also provides amenities. What is the location of Greenwood Symphony?The location of the project is Barasat, Kolkata North. What is available flat size in Greenwood Symphony? Flat sizes in the project range from 725.0 sqft to 931.0 sqft. 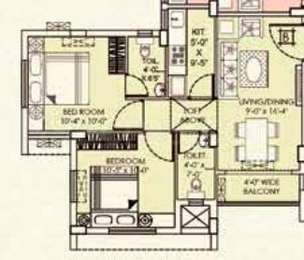 What is size of 2 bhk in Greenwood Symphony? The area of 2 BHK apartments ranges from 725.0 sqft to 873.0 sqft. What is the 3 bedroom size in Greenwood Symphony? 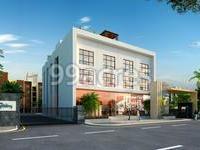 The area of 3BHK units in the project varies from 921.0 sqft to 931.0 sqft. How much is the actual area of Greenwood Symphony?The area of the project is 2.65 Acres. What is tentative possession date of Greenwood Symphony?The project is expected to be delivered by Dec 2021.